In my last post, I shared the experience and tips from the first leg of my 7 month back-packing trip across South America – Brazil. Today, we head to Argentina! 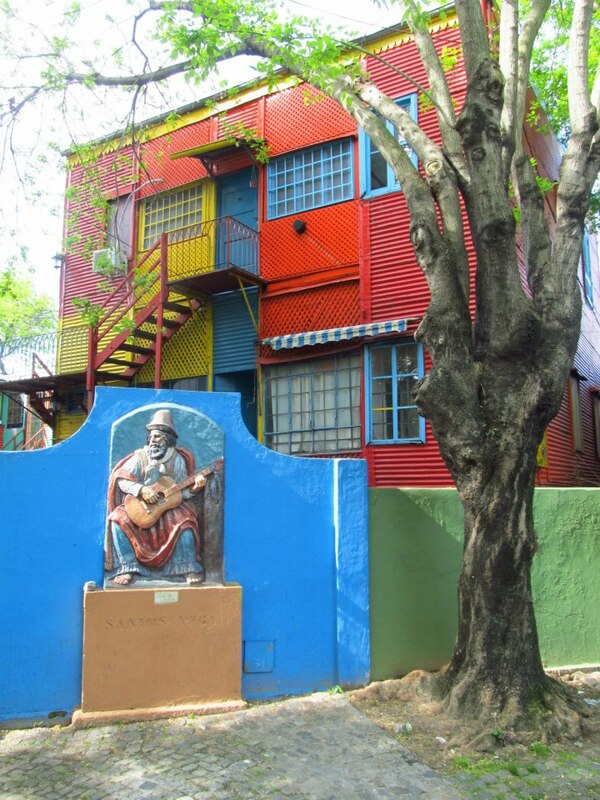 Argentina is one of the most popular South American countries on the tourist map. Some of the most breathtaking and dramatic natural landscape can be found around Argentina. Today I’ll share some travel tips, things to-do, must-see places, and budget hacks. From Foz do Iguazu (Brazil): Take the bus from the bus stop behind the central bus station to Puerto Iguazu. The bus will drop you at the Brazilian border checkpoint for an ‘exit stamp’. Then you will have to wait for another bus to take you to the Argentine checkpoint for an entry stamp and eventually reach Puerto Igauzu. Visas of entry or departure country. Visa applicants are required to appear for a personal interview with the Counselor. I was granted multiple entry visa valid for 50 days, which screwed up my plans. Cost of Visa: Visa is free for Indian passport holders. As a former Spanish colony, Spanish culture is still prevalent, especially siesta. People enjoy their siesta with pride and almost everything remains shut during the afternoon and opens again in the evening. People are serious soccer fans and are also very fashion conscious! Dress up for a night out or for Tango! People speak Spanish and tend to speak faster than most other parts of South America. You need a good working knowledge of Spanish to get around in Argentina. People use a lot of Spanish slang language in Argentina - almost every sentence ends with ‘Che’. ‘Che’ is slang for referring someone as a friend. People from Argentina tend to communicate a lot with gestures. As a matter of fact, they talk less with mouth and more with their hands. Common gesture would include snapping their finger to indicate ‘be quick’, rolling index finger over their eyelids to say ‘watch out’ or flicking the bottom of their chin with fingers (palm facing the neck) saying “I don’t know”. Mate: It is hard to imagine Argentina without ‘Mate’, pronounced as ‘Maa-te’. Yebra Mate is traditional tea mixed with hot water and sipped through a steel pipe. Argentinians love it so much that they carry a thermo flask with hot water wherever they travel. Another way to enjoy Mate is with juice and ice called ‘Terere’, perfect way to beat the Argentine summer. Beef stake: Argentina produces one of the best quality beef in the world and not surprisingly is the main food in Argentine diet. Empanada: A stuff baked bread with meat, cheese and vegetable. I loved it! Wines: Great quality wines. You can get a really good wine for INR 200! Dulce de leche: Literally known as ‘Sweet of milk’ is the national spread of Argentina. You can find it anywhere from breakfast tables to cakes/pastries. The inflation rate in Argentina is more than 25% (unofficial), the prices in the restaurant changes almost every week. Food prices rise 30% per month sometimes! In order to keep the inflation in check (on paper), the Government of Argentina has subsidized the ‘Big Mac burger’ to keep the Big Mac index low. Therefore, ‘Big Mac’ is the cheapest item in McDonalds in Argentina. Buenos Aires is regarded as one of the most beautiful cities in world and known as ‘Paris of South America’ for its European architecture. The city is vibrant and screams culture! 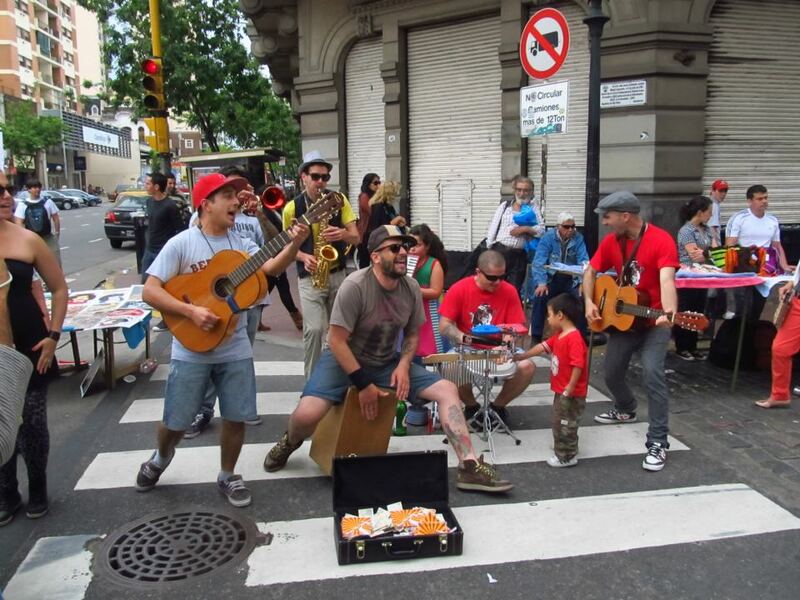 People: Porteno, inhabitants of Buenos Aires, are party animals. A usual night out in Buenos Aires (pretty much every other place in Argentina) is as follows: 8 PM theater, 10 PM dinner, 12 PM bars and pub and eventually they hit the nightclub at 2 AM, and party till the morning. Florida street for window shopping. 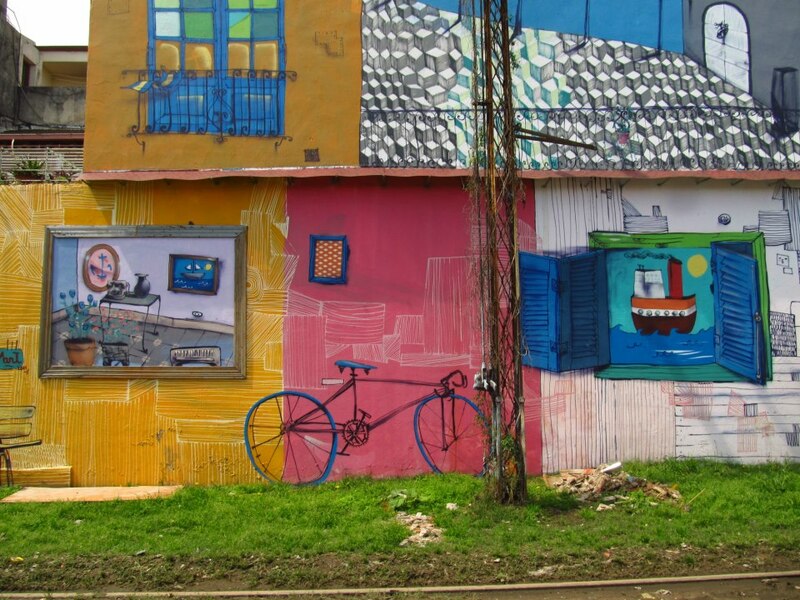 To do: Graffiti tour, tour La Boca; watch the derby match between Boca and Riverplate. Place to stay: Stay in a hostel in Palermo. Many backpackers (including me) stay in ‘Hostel Milhouse’ but it is really far from every other place. 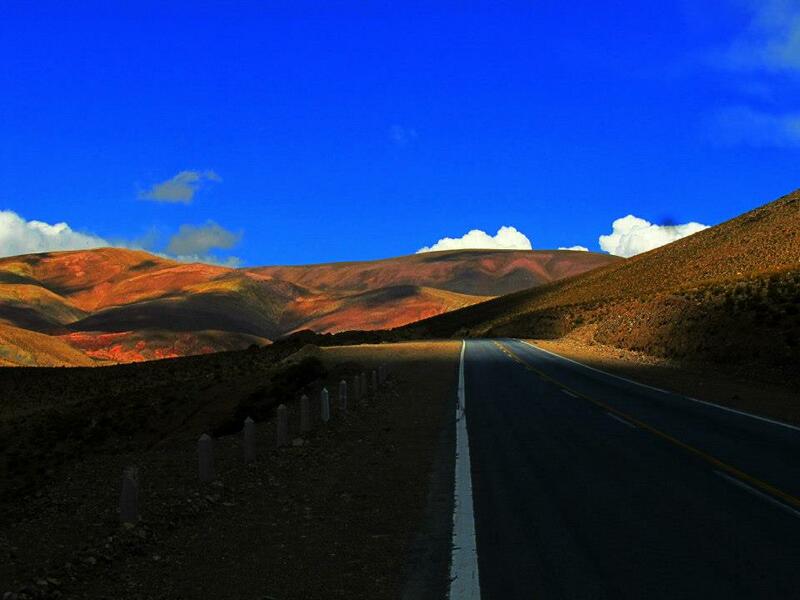 Famous for the Argentine wines and adventure sports. Cerro Aconcagua: Mendoza is an important destination for trekkers to Mt. Aconcagua (Cerro Aconcagua) (6,900 above sea level), which is the highest peak in South America. Bike Wine tours: Reservations can be made from the hostel. You can rent a bike and ride it to different wineries in the region and indulge in wine tasting. Renting a bike would cost around AR 50 and wine tasting would be AR 150 per person. The Wine Harvest Festival (Fiesta de la Vendimia) is held in February and March every year. Places to stay: Hostel Lao, the staff is friendly and the hostel is spacious. A night in dorm would cost around AR 80. 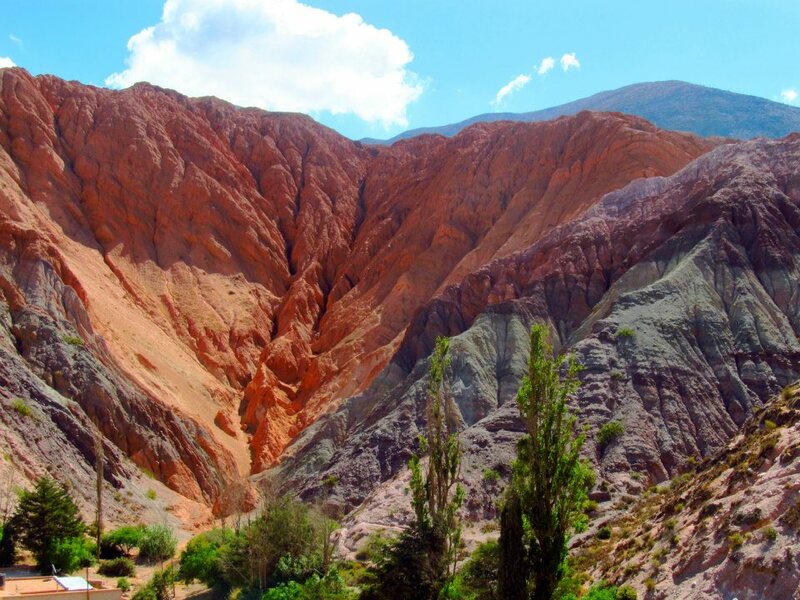 Places to visit: Purmamarca is the seven colored hill or the rain bow mountain (Cerro de los Siete Colores) near Salta. Getting out: Take an overnight bus to La Quiaca to the Bolivian border. The bus takes around 7 hours and costs about AR 130. If you want to save money, try and take overnight buses to travel in and around Argentina – you’ll save a night’s stay cost! 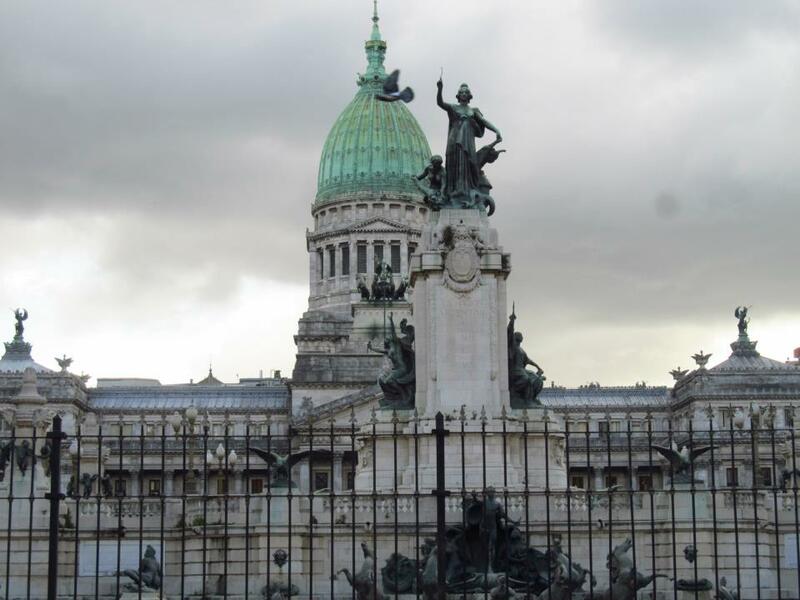 Travel Tips Argentina: #4 The official rate for Argentine Peso is 4.5 to 1 USD, but in black market (esp. Florida street) you can get an exchange rate of 6.5 to 1 USD. Though watch out for counterfeit notes! Always try to pay merchants in the local currency. Argentine economy is in such a dire need of foreign currency that it is the only country in Latin America that exchanges Indian Rupees in official exchange houses. Travel Tips Argentina: #5 If you have come all the way to Argentina, please do not leave without visiting Patagonia. Patagonia is a region located at the southern end of South America, shared by Argentina and Chile. You will be welcomed by some of the most breathtaking landscapes – almost mythical! Visit Patagonia for the spectacular Andes, for walking on glaciers, for touching the southern most city of the world, and much more! 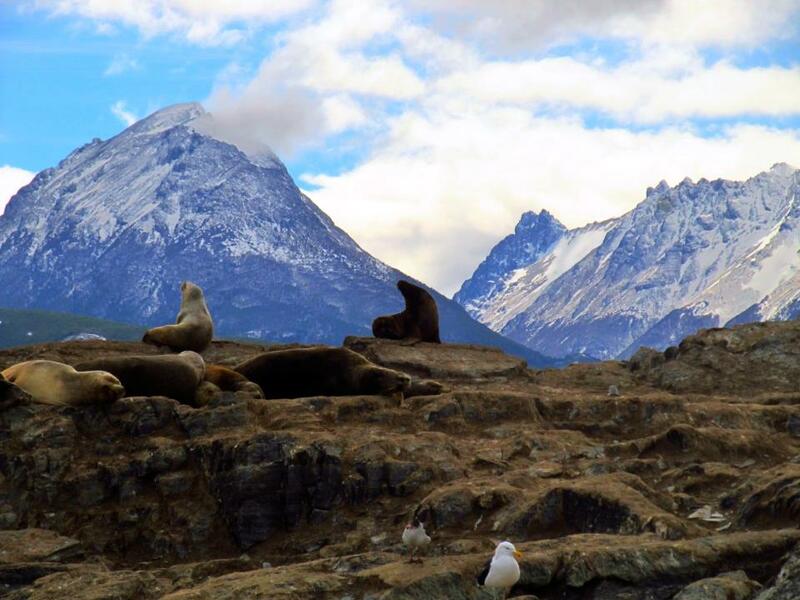 Here’s my blog post on Argentine and Chilean Patagonia!